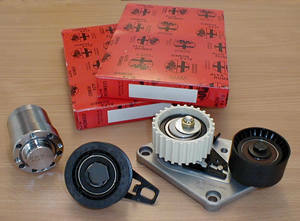 16v engine parts---oil filters, sparking plugs, gasket sets etc. v6 engine parts---oil filters, sparking plugs, gasket set, oil pumps, water pumps and radiators. 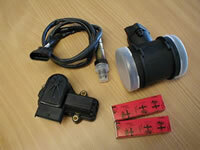 Air flow meters, CO sensors, idle speed actuator. 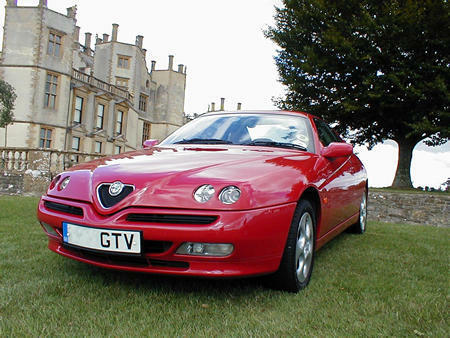 Grooved/ventilated discs, Superalfa brake pads. (See BRAKES). Centre sections, and tail pipe & silencer assemblies by IMSAF of Italy, one of the original manufacturers. Much cheaper than dealer prices! See CSC exhaust page.